"Rage can come on quick if you let it slip often enough, and I let it slip. " Winoc is forced to take his friend's daughter Emile on the road to protect her from a dangerous Northman in this sword and sorcery adventure. Winoc the Traveler has not been tagged yet. 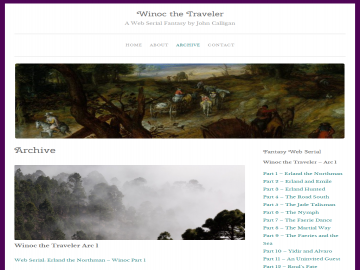 Help others find Winoc the Traveler by tagging it! Winoc the Traveler has not been reviewed yet. Winoc the Traveler has not been recommended yet.